Our cattle are 100% grass fed and will not eat grain at all throughout their life. The animals are free range and will be allowed to grow out to between 2-3 years. These two facts combined with our dry aging procedure are designed to give maximum flavour to our beef. 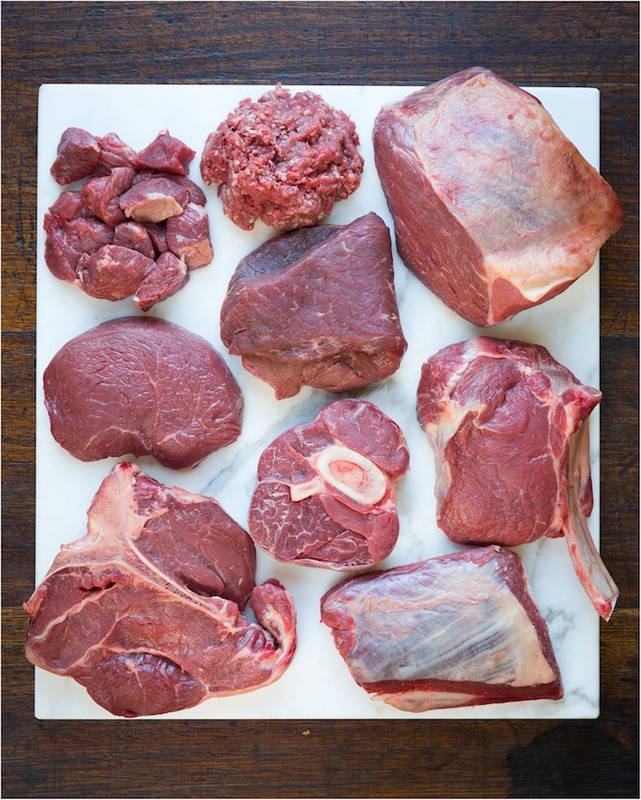 Obviously an animal doesn’t divide up into even portions, but we ensure that each box will have the same percentage of primary cuts and secondary cuts. Each portion is vacuum sealed and labelled with the cut name and weight. What an exciting way to extend your cooking repertoire.